As I mentioned in an earlier post, my American legal history course is organized around the emergence and consolidation of political regimes, an approach that requires much discussion of administrative state-building--and presents a problem. By the last semester in law school (which is when most of my students take the course), most students have had plenty of opportunities to envision themselves in a court, through first year legal research and writing, moot courts, evidence and trial practice courses, or Georgetown's clinics. In contrast, few have had courses or experiences that would help them imagine what it would be like to lawyer within or before an agency in the federal bureaucracy. Even courses in which administrative rulings and regulations bulk large typically leave students with only a general understanding of the institutions that made them. The need to cover difficult legal doctrine is too insistent, and, in the Administrative Law course, at least, the landmark cases come from so many agencies that the teacher scarcely know which ones to attend to in depth. To be sure, legal educators since Willard Hurst (pictured at right) and Lloyd Garrison (in their "Law in Society" materials, prepared in the late 1930s) and Milton Katz (in his Cases and Materials on Administrative Law (1947)) have tried to address the problem by focusing on one or only a few agencies; still, I am far more confident that my students are in the same ballpark with me when I discuss the oral argument in a great U.S. Supreme Court case than when I discuss the work of the Review Division of the National Labor Relations Board in the 1930s. One solution is to give the students an ideal type of bureaucracy, but until recently the most obvious candidate, Max Weber's definition in Economy and Society, misled, in the American case, as much as it enlightened. To be sure, I assign the passage to my students: it states more precisely whatever notion of bureaucracy they bring to the class, and it or something like it was the ideal of the political scientists who appear in the course (such as Woodrow Wilson, Louis Brownlow, and Leonard White). But the leap from Weber's orderly hierarchies, settled jurisdictions, and well-defined channels of appeal to the loose-jointed, conflict-ridden, politically beset officialdom of, say, a federal executive department is just too great for students to make unassisted. The last few years I've added a note on Daniel P. Carpenter's Forging of Bureaucratic Autonomy: Reputations, Networks, and Policy Innovation in Executive Agencies, 1862-1928 (2001). 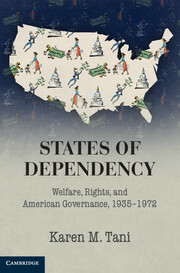 Carpenter’s interest, like that of other scholars in the American Political Development tradition, is to account for how America’s bureaucracies acquired something like the “autonomy” of their European counterparts. That is, how did the American officialdom acquire the ability to act in ways that neither politicians nor organized interests preferred but were unable to check or reverse. Convinced that too much attention has already been lavished on the study of independent commissions (such as the Interstate Commerce Commission), he turns to the executive departments, in particular, the Post Office, the Department of Agriculture, and the Department of the Interior. Each department had a three-tiered organization, illustrated in Figure 1.1. of the book. At the top is the secretariat, which consists of the secretary, his or her assistants, and their executive staff. Secretaries are short-term political appointees who often have little experience of the department’s missions. At the bottom are “operations” officials, the people who actually perform the department’s basic jobs. Until the twentieth century, they were usually patronage appointees little interested in institution-building in the agency in which they happened to find a berth. Between these two tiers are “mezzobureaucrats”: bureau and division chiefs, program planners, and monitors. They are the department’s most enduring actors, who, thanks to civil service reforms, usually kept their jobs from one presidential administration to the next. Because of their long tenure, bureau chiefs tended to build up stable relationships with oversight and appropriations committees in Congress which earned them some room to maneuver in the conduct of their official duties. Carpenter devotes the bulk of his book to showing how mezzobureaucrats built or, in the case of Interior, failed to build, the autonomy of their agencies. The note I assign summarizes one of his illustrations--Seaman Knapp and the Bureau of Plant Industry in the U.S. Department of Agriculture--but rather than go into his case studies in detail I have the class read a vivid and thoroughly researched article on the Bureau of Immigration and the Department of Commerce and Labor during the secretaryship of Charles Nagel (1909-13; pictured at left), written by Michael J. Churgin of the University of Texas Law School, which appeared in the Texas Law Review 78 (2000): 1633-59. In class, my first step is to ask the students fill in, as it were, Carpenter's Figure 1.1, with the various actors Churgin describes. The mezzobureacrat in this case was Daniel Keefe, a former president of the longshoremen's union, whose service as Commissioner General of Immigration antedated Nagel's own appointment. Keefe worked to expand the grounds for excluding immigrants; Nagel, out of sympathy for the immigrant and respect for the political clout of their organizations, often overturned Keefe's decisions and sought his ouster, but President William Howard Taft could not afford to alienate organized labor's allies in Congress and the electorate and refused to discharge him. Once these facts are on the table, I ask my students to point out ways in which the nation's immigration bureaucracy departed from Weber's ideal type and to consider what role lawyers might play in such a contested bureaucratic terrain. For the latter point I summarize a second article by Churgin, which described how Simon Wolf of the the Hebrew Sheltering and Immigrant Aid Society provided Nagel with information about appeals that he could not get from his own immigration bureaucracy. 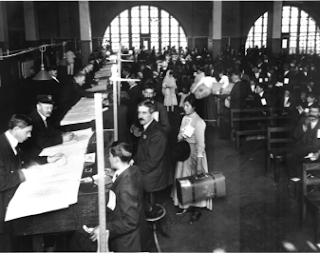 I also ask students to read excerpts from Louis Anthes's article on lawyers and the inspection procedures at Ellis Island. It turns out that one-shot lawyers who demand that inspectors respect judicial norms of due process get nowhere; repeat-players who learn the inspectors' informal rules and procedures do better. Of course, Carpenter's Figure 1.1 is not an infallible guide to all the public bureaucracies one might study in a legal history course, but I find it serviceable in other parts of the one I teach. For example, I focus on Jerome Frank at the Agricultural Adjustment Administration when I discuss New Deal lawyering. After Carpenter and Churgin, my students are ready to see how problems could emerged when the AAA was lodged within the U.S. Department of Agriculture and Jerome Frank, AAA's general counsel, viewed himself as the guardian of Secretary Henry A. Wallace's policies against the conflicting wishes of the AAA's mezzobureaucrats. A few classes later we take up the Morgan decisions of 1936 and 1938. In these landmarks in the history of administrative law, Chief Justice Charles Evans Hughes broadly hinted that federal agencies ought to "judicialize" their procedures. Once again, Figure 1.1 and Churgin's chronicle of conflict between departmental secretary and bureau chief come in handy. The U.S. Department of Agriculture had long regulated rates in the meatpacking industry through its Bureau of Animal Industry, headed by the long-serving chief John R. Mohler. During the Republican administrations of the 1920s, Mohler pursued a live-and-let-live strategy with the small businessmen who received and cared for livestock sent to the nation's stockyards, but in the first months of Franklin D. Roosevelt's presidency Henry Wallace decided to lower their fees and drive marginal firms out of business. As the two sorted out their differences, they failed to observe the niceties of administrative procedure. The Morgan decisions were the result. The 2007 Carnegie Foundation report on legal education, Educating Lawyers: Preparation for the Profession of Law, is eerily reminiscent of the Foundation's 1914 Report, The Common Law and the Case Method in American University Law School. This article compares the two reports. It commends the 1914 report for its broad comparative civil/common law perspective that is unsurpassed to this day. It shows how the two reports view the case method similarly, but with significantly different emphases. The 2007 report counts the case method as academic, while the 1914 report sees it as practical. It shows how the two reports, while having similar diagnoses of the ills of legal education, prescribe different cures. The 2007 report calls on legal educators to increase clinical education; the 1914 report urges them to rationalize the legal system in order "to invigorate the principle of social and economic justice in the life of the American people." The article questions the comparability of medical and legal professional education. The article is available in book form together with a reprint of the 1914 report. Jack Rakove weighs in on the Supreme Court's ruling in D.C. v. Heller, the 2nd amendment case, with "Thoughts on Heller from a 'Real Historian,'" at Balkinization. Rakove authored a historians brief in Heller. He agrees with others that the Heller opinions would not "pass muster as serious historical writing," but also does not find that they are "equally incompetent." Rakove goes on to weigh "the merits of Scalia’s approach, which basically says that the actual history of how the Second Amendment made its way into the text of the Constitution is irrelevant, against Stevens’ more focused reliance on what was actually in dispute in 1787-1789." The Scalia opinion seems materially defective to me for several reasons. The most important...is its explicit disdain for the legislative history of the Amendment, whether that is described in terms of the Convention’s framing of the Militia Clause, the public exchanges and ratification convention debates it sparked, or what we know of the progress of the Amendment itself through Congress. I understand that this position correlates with Scalia’s general skepticism about legislative history in statutory construction, but that does not alleviate my concern. Why? As a “real historian,” I think that all of the following points are relevant to any kind of serious originalism. Holland shows how Mugabe's childhood taste for revenge has colored his journey from the village of Kutama to the pinnacle of power in Zimbabwe. When leaders from the minority Ndebele tribe challenged his authority in the 1980s, Mugabe sent in North Korean-trained troops, killing tens of thousands in Matabeleland. When some whites backed the opposition in the late 1990s, he let mobs drive them from their farms, sparking economic catastrophe. "Our present state of mind is that you are now enemies because you really have behaved as enemies of Zimbabwe," Mugabe chillingly told white farmers in a 2000 TV address to mark the 20th anniversary of the country's independence. Also reviewed is a collection of short stories, SAY YOU'RE ONE OF THEM by Uwem Akpan. Susan Straight writes in the Washington Post that "these five stories -- set in Nigeria, Kenya, Rwanda, Ethiopia and Benin -- are all about children and their perilous, confusing lives, their searches for bits of grace and transcendence along with food, family and survival. This link allows a huge, perplexing continent to be known in intimate ways." The author's "incredible talent as a writer prevents" the most tragic of the stories "from becoming a polemic, diatribe or object lesson." The rest is here. Read an excerpt here. 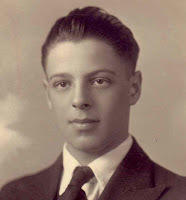 ﻿My grandfather, Sigmund A. Robinson was a 1928 graduate of the University of Michigan Law School. In the 1930s he practiced with another lawyer in Detroit, occasionally handling minor matters for the Ford Motor Company, until, as family legend has it, Henry Ford learned that he was Jewish and ordered that he be given no more cases. He moved moved to Indianapolis to become a “price lawyer” in OPA and remained in the city after the war as general counsel for the “Real-Silk,” a manufacturer of synthetic women’s hosiery. On November 12, 1942, he supplemented his usual report on his activities with some reflections on the work of the agency. Volume for the period was as follows: Telephone inquiries-475; office interviews with members of the public-15; letters of interpretation and explanation-93; interoffice consultations with the price executive and members of his staff-48. Once upon a time, long, long ago (at least so my college textbook in Organic Evolution said) there lived a dinosaur named Stegasaurus. This monster’s body kept growing larger and larger but its brain, which was only about the size of that of a three weeks old kitten, failed to grow along with its body and so proved unequal to the task of managing and directing so huge a bulk. The result was that Stegasaurus became an easy prey for its rapacious adversaries and became extinct. There is, of course, a moral to be drawn from the sad demise of Stegasaurus. The body of price control, the regulations, revisions, amendment, revocations, supplementary regulations, and general and special orders, keeps growing larger and larger at an amazing rate. The brains of both those required to comply and those charged with its administration, interpretation, and enforcement are not growing space. If the present rate of growth continues, price control, too, may become an easy prey for its adversaries and become even more extinct than Stegasaurus since it is doubtful if the regulations will be displayed in Sinclair Refining advertisements a few thousand years hence like Stegasaurus is today. The average small merchant is wholly unequal to the task of keeping abreas t of the rules and requirements. The country general store is subject to about 25 or more regulations, a number of which have been many times amended. The corner grocer has to contend with about a dozen and current production for the grocery trade is about two new regulations a week. The shoe repair is fortunate, with in most instances only three regulations to worry about, MPR 165 for the soles MPR 200 for the heels, and GMPR for everything else. Many of the regulations have caused wearers of Phi Beta Kappa and Coif keys considerable periods of anguish. 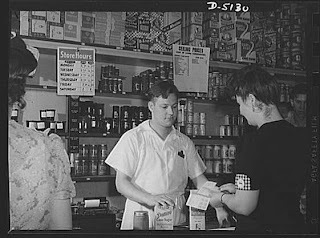 With three regulations on mince meat, Christmas cookies, fig pudding, etc., a 5 inch definition of apple butter and formulas like MPR 210 and Amendment 8 to MPR 122 which are not only difficult to understand but impossible for most small merchants to follow because of lack of records on which the computations are based, the staff in the field is verging upon a state of confusion and frustration. We seem to have given up on the old cry that the ceiling shall not be punctured but are attempting to do our level best in cooperating in the effort to prevent a blowout. However, the issuance of a regulation dealing with such essentials as bottled eggnog and Tom and Jerry batter and a new price on turkey every Thursday makes us wonder. Most businessmen are not only willing but anxious to play the game if they can learn the rules. We in the field are here to do or die for old OPA but it is pretty rough going for both sides when the rules are changed on each play as the team carrying the ball comes out of the huddle. The contemplation of all contingencies and eventualities, the avoidance of all ambiguity and uncertainty and appreciation of the delicate shading and meaning of words are all the marks of a good legal draftsman. Our regulations generally bear that mark. It seems to us, however, that a regulation which is to be read and immediately understood and followed by every retail grocer, clothier or coal yard operator in the country, presents a problem in draftsmanship distinct and different from a contract, trust indenture, will, or most legislative enactments. The standards of good draftsmanship may have to be sacrificed in achievement of simplicity to the end that not only he who runs may read but that he who reads but little may understand. It seems preferable in the case of regulations operating at retail level that thousands learn what is required than that a few be prevented from obtaining larger mark-ups and higher prices through failure to eliminate all ambiguity and resolve every contingency. A longer period between the issuance and effective date of regulations applying to businesses of this nature and improvement in publicity would also be helpful. Many small merchants who are subscribers to no business service and belong to no trade association now learn of the existence of a regulation only after a considerable period of violation. Last but not least is the paper work. There is nothing that distresses a business many more than paper work. The average merchant is now constantly buried beneath the mass of forms and reports which he is required to fill out and file not later than noon last Tuesday. If the businessman revolts or goes on a strike, it will not be because his mark-up is lowered or his freedom of action curtailed but it will be because of the paper work. In this period of manpower shortage, it seems vital to keep the paper work down to an absolute minimum. 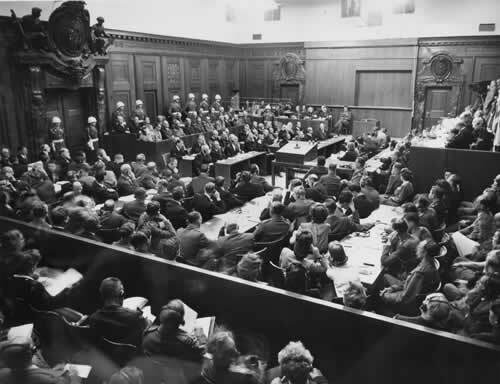 In “The Soviets at Nuremberg: International Law, Propaganda, and the Making of the Postwar Order,” Francine Hirsch investigates the role of the Soviet Union in the Nuremberg Trials of 1945-1946. She argues that Nuremberg is still seen through the distorting lens of the Cold War, suggesting that it is high time for a new narrative of the trials that gives a full accounting of the role of the Soviet Union. Hirsch evaluates the contributions that the USSR and its legal experts made to the jurisprudence of the trials. She also looks at the efforts of the Soviet Union's secret Commission for Directing the Nuremberg Trials to influence the course and outcome of the trials-and to affect the postwar moment in general. She argues that Nuremberg became one of the first fronts of postwar competition between the USSR and its former wartime allies-a competition in which the USSR did not fare well. The United States proved far more adept at shaping the trials and using them to advance a postwar agenda. It seized control of Nuremberg and made “the Nuremberg narrative” its own. In the end, Hirsch suggests that although Nuremberg was a failure for the USSR, it taught the Soviets important lessons that shaped their development as an international power. In “Globalizing Hanjian: The Suzhou Trials and the Post-World War II Discourse on Collaboration,” Margherita Zanasi explores the transmission of the notion of “collaboration” across the globe immediately after the Second World War. In particular, she focuses on the Chinese Nationalists' appropriation of the résistance discourse surrounding the trial of Philippe Pétain (the leader of the French collaborationist government in Vichy). In this trial, Pétain became the central figure in a black-and-white narrative of patriotism versus treason, a narrative that came to represent a monolithic, potentially global phenomenon with no local variations. As such, this narrative served as a source of legitimacy for condemning China's collaborators. By comparing the Pétain and the Suzhou trials, this article illustrates the globalizing effects of the discourse on modern nationhood, which determined how the experiences of World War II and foreign occupation were understood in both France and China. In each country, however, there were differences in the circumstances of collaboration, leading to differences in the nature of postwar punishment, highlighting the limits and complexity of the globalizing effects of the shared experience of World War II. In “ The Myth of the ‘Weak’ American State,” William J. Novak attempts to explain, critique, and ultimately displace the long-standing historiographical and theoretical tendency to view the American state as somehow “weak.” He reviews the histories that have constructed and reinforced this myth of American statelessness and introduces the key texts in an emerging historical revision. Given present-day realities as well as a new generation of work on American state power, nationally as well as internationally, the article argues for a new historical appreciation of the rise of a global hegemon. This, it asserts, is what needs more explanation in modern American history. In the second half of the article, Novak suggests that early American pragmatism and social science offers up some useful alternative models for evaluating the history of the American state. In contrast to the European models of classic social theory, the critical and realistic approach to state power allows more room for the examination of such things as the rule of law, the distribution of power, and the public-private distinction in the creation and perpetuation of powerful techniques of American governance. This article will be the subject of a future AHR Exchange. Offering a cautionary lesson of contemporary significance, the Article suggests that judicial power is not in and of itself necessarily the solution to executive infringements on due process rights in wartime. The Article examines the response of the British judiciary to serious threats to its institutional power during the First World War. To facilitate prosecution of the war, the government narrowed the jurisdiction of the traditional courts by eliminating jury trial, subjecting civilians to court-martial, and establishing new administrative tribunals to displace the traditional courts. Rather than remaining passive and deferential to the executive, as scholars have generally assumed, the judges moved forcefully to assert control over rival executive and military bodies. Even more critically, they used their enlarged power to shape the legal process in accordance with a distinctive moral ideology. Judicial wartime decisions reflected not a neutral rule of procedural propriety but a moral calculus that enhanced procedural rights for litigants who advanced the war effort and curtailed them for those who obstructed it. Thus, the Article generally argues that during the war the judiciary aggressively pursued its institutional self-interest and employed its resulting power to allocate procedural entitlements in a manner that undermined the rule of law itself. "Thomas Ruffin: Of Moral Philosophy and Monuments" returns to Justice Thomas Ruffin's opinions, particularly on slavery, to excavate his jurisprudence and to try to assess what Ruffin's legacy means for us today. It begins with an exploration of Ruffin's 1830 opinion in State v. Mann, where he self-consciously separated his feelings from his legal opinion to release a man who abused a slave from criminal liability. Anti-slavery activists frequently wrote about Mann, because of its brutal honesty about the harsh nature of slavery. After discussing Harriet Beecher Stowe's fictional account of Ruffin and Mann in Dred: "A Tale of the Great Dismal Swamp", which further developed the theme of separation of law and morals, the paper turns to some of Ruffin's other opinions. It looks to slavery opinions including Heathcock v. Pennington (which released a renter of a slave from liability for the boy's death in a coal mine) and Green v. Lane (which dealt with a trust to give quasi-freedom to slaves), as well as non-slavery cases like Scroggins v. Scroggins (which argued against granting judicial divorces because that would encourage more of them). Ruffin's jurisprudence took the world as it was, or as he phrased it, looked to the nature of things. His judicial opinions - the monuments he left to us - illustrate a world of proslavery moral philosophy. That thought separated humanity from law and then decided cases based on precedent and considerations of utility to society. Ruffin was a great expositor of the system of slavery, as well as a great wielder of what Stowe called cold legal logic. What should we make of this legacy today? Perhaps Ruffin aided the cause of antislavery through his honesty in State v. Mann. And, thus, perhaps we should honor him for that. Moreover, perhaps the honor he received in the early twentieth century (when a dormitory was named in part for him on the UNC campus) derives from his facility with legal reasoning outside of the slavery context. However, honoring him also runs the risk of honoring proslavery values. Conversely, removing his name from a building now runs the risk of concealing the prevalence of proslavery thought in the nineteenth century. That is, removing a name might facilitate a process of forgetting when universities should be trying to provide a proper context for viewing our past. Yesterday I talked about the great labor decision of In re Debs (U.S. 1895) to a group of high school teachers who are participating in the Summer Institute for Teachers, co-sponsored by the Federal Judicial Center and the American Bar Association's Division for Public Education. The teachers are learning about three "Federal Trials and Great Debates in United States History" (Aaron Burr's Treason Trial, Debs, and the Chicago Seven Conspiracy Trial) and producing a curriculum for each dispute. They had read an excellent set of materials prepared by David Ray Papke on the great Pullman Strike and Boycott of 1894 and the injunction and indictment obtained by the U.S. government against Eugene V. Debs, the president of the American Railway Union. The materials included a compact narrative, which drew upon Papke's book, biographical sketches of the dramatis personae, correspondence, well chosen excerpts from legal briefs, oral arguments, judicial opinions, Debs's speeches, the report of the U.S. Strike Commission, and contemporaneous commentary in newspapers and magazines. My job was not to summarize the materials but to put Debs "in context." What could be easier, given the significance of the case for labor and political history? After all, Harper's Weekly likened the the boycott to the Civil War; in the wake of the unanimous decision of the U.S. Supreme Court, written by David Brewer, "government by injunction" became a common epithet in popular politics. And yet I found the task challenging--and not simply because I've never written about or taught the case before. The challenge wasn't because the consequences of the decision for labor history were hard to state. 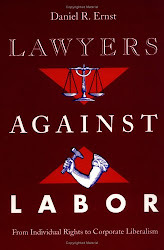 Extremely able labor historians, including Richard Schneirov, Shelton Stromquist, Nick Salvatore and Melvyn Dubofksy, have given the case sustained treatment. I think I got out the contrast between the ARU's industrial unionism and the craft unionism of the AFL and operating brotherhoods well enough. My conclusion that the case was a "great" labor decision because it set back the cause of industrial unionism forty years is, I think, a sufficiently plausible claim for the purposes at hand. Similarly, the significance of Debs in the political history of the federal judiciary is can be conveyed vividly enough. Here I was helped by one of the teachers, who pointed out that Brewer's extraordinarily strong assertion of federal judicial power in protecting interstate commerce contrasted markedly with the Supreme Court's retreat from civil liberties. Papke's materials showed the conflict between the federal judiciary and state government in the particular context of the Debs boycott in the sketch of Illinois Governor John Altgeld, who opposed federal intervention, and his selection from Brewer's decision, which included the jurist's insistence that "the whole interests of the nation" must not be put "at the absolute mercy" of the inhabitants of state. From there it was easy to go to the federal judiciary's more general role of protector of Eastern capital from the depredations of Western populists, with a bow to William Ross's A Muted Fury and Edward Purcell's Litigation and Inequality. (I forgot to mention the Democrats' anti-injunction plank.) When all was said and done, I concluded that a talented teacher might be able to use Debs to get students to care about whether federal courts were used as the agency of distant economic power--as imperial courts in a domestic "colony." The challenge came when I tried to discuss Debs's significance for the history of American labor law without making everyone's eyes glaze over. Here I ran up against the problem of teaching a Great Case. A case becomes "great" in part because it has consequences for a wide range of cases of the same sort. But it is also great because it has some unique aspect that sets it apart from the typical and makes it a class by itself. This unique quality can make generalizing from a Great Case to the typical one perilous; the extrapolation is bound to distort to some extent. Bush v. Gore is a Great Case, but if it were all legal historians from some distant future had to go on, they would construct a very different body of election law than what actually prevailed in 2000. The same is true for Debs and the typical labor case between Reconstruction and the New Deal. Our best evidence--the contemporaneous studies of the labor economist Edwin Witte and the political scientist Paul Brissenden found many more state than federal cases. Most were disputes between private parties and not a public body. Most cases were based on the common law (increasingly intentional tort; decreasingly conspiracy) or minor criminal ordinances (as David Montgomery pointed out), some were based on other federal laws (bankruptcy, the Interstate Commerce Act, Sherman Act), but it's hard to think of another labor decision built directly on the rock of the Commerce Clause, as the Supreme Court's in Debs was. Lawsuits against secondary pressure (such as the Pullman boycott) became increasingly common, as William Forbath argued; still, I suspect that the view from Sylvester Petro's study of reported decisions in the Wake Forest Law Review (1978) is right, and that many more involved the policing or abolition of picketing in a primary strike. What Debs had in common was the typical labor case was that it was an injunction suit. In the "forest of injunctions," Papke writes, "the Pullman injunction stands the tallest." It was not the first American labor injunction--to date that honor goes to Muller v. Grantz, an often overlooked and unreported decision in a New York City trial court in 1875. Federal injunctions date from the Great Upheaval of 1877. But Debs decisively resolved lingering doubts about whether the equitable remedy of injunction was available in labor disputes. The doubts arose because of three widely accepted maxims: (1) equity only interferes for the protection of property; (2) equity does not enjoin a crime; and (3) equity does not interfere when the remedy at law is adequate. Papke's materials show that each maxim was urged as a bar to the Debs injunction and that each was squarely rejected. (Owen Fiss's masterful analysis in his Holmes Devise history of the Fuller Court is must reading on this point.) Lawyers for trade unions might fulminate, as one of Debs's lawyers did, that the decision was "judicial despotism, pure and simple," but they could offer no precedent as authoritative as a unanimous decision of the U.S. Supreme Court. If the bell rang at that point, perhaps the teacher could escape unscathed. But what if it didn't and puzzled students started asking questions: What do you mean by "equity," and why should it only protect property? Why shouldn't equity enjoin a crime? Being told not to do something sounds a lot better than being jailed for doing it. And how is a remedy "at law" different from an injunction? Haven't we been talking about law the entire class? Yesterday, I tried to anticipate these questions with my best, but, I'm afraid, cartoonish, rehearsal of the horrors of Star Chamber, the commonly lawyers' doughty opposition to Stuart absolutism, the twelve judges in Westminster Hall, the chancellor's foot, the Navigation Acts and colonial admiralty courts. (I got through it by not thinking too much about what my teachers Charles Wood, Charles Gray, Richard Helmholz and John Langbein would have said about my performance.) The school teachers gamely followed along, but I sensed they were wondering, as I was, whether all this wasn't going to be an awfully hard sell to kids on a steady diet of Guitar Hero and Gossip Girl. If teaching Debs also means teaching the Prohibitions del Roy, then maybe this is one Great Case that can't be taught in a high school, especially as Sir Edward Coke (pictured at left) isn't likely to come up on the AP American History exam. Perhaps labor history and the political history of the federal judiciary are enough of a reason to teach Debs to high school students. Perhaps I'm wrong to doubt their interest in the institutional and doctrinal background of the labor injunction. In the end, I decided I could safely leave the matter to my audience of high school educators. After all, when it comes to teaching, they're the pros. Readers interested in following the end of the U.S. Supreme Court's Term this week, including the release of final opinions, can find up-to-the-minute updates, followed by analysis, at SCOTUS Blog. Their LiveBlog feature will post news as it happens beginning at 10:00 a.m. Eastern today, including links to opinions when they become available on-line. Upcoming discussions of the Court Term this week in the D.C. area are here. Commentary on various law professor blogs can be found via Law Blog Central. At lease one opinion is expected to be released today. Expected sometime this week is a ruling in District of Columbia v. Heller, a 2nd Amendment case. Links to historical briefs in Heller and recent work on 2nd Amendment history are here. pleading. This article, prepared for a symposium on Conley, reviews the debate over pleading requirements that preceded the case. Unlike modern discussions of pleading, which focus on the level of factual specificity required in complaints, the pre-Conley debate was about the legal content of complaints - an question largely forgotten in the years following Conley. based on existing rules of law. Legal Realists believed that the rules governing complaints should allow plaintiffs to present their stories to the courts and courts to do justice according to the facts that evolved at trial. The formalist view made legal claims dependent on supporting rules of substantive law, and so increased the chances that the course of litigation, and the resolution of litigated disputes, would be governed by articulable legal rules. The Legal Realist view loosened the grip of substantive law on trials, favoring instead a mode of adjudication in which judges aimed for just outcomes, case-by-case. The article sets out my interpretation of the pre-Conley pleading debate, then describes the rather haphazard way in which the debate was resolved. It concludes with some brief comments on the implications the early debate for civil rights litigation. This article traces the independent state-law based protection of individual rights and liberties by the New York Court of Appeals, the state's highest court, since its earliest years in the mid-nineteenth century. The practice of developing a body of state law and relying on it to decide issues concerning the rights of the accused, civil rights and civil liberties is as old as the court itself. This practice is not simply a modern mode of decision-making adopted by New York's high court in reaction to the conservative retrenchment of the Supreme Court in the Burger and Rehnquist eras. The New York court has been erratic in the development and reliance on non-federal, independent state-law grounds for its decisions in recent years. But such independent state-based decision-making in the protection of rights and liberties is, nonetheless, a longstanding tradition of the court. The second collection is the papers of Oliver Gasch, who sat on the U.S. District Court for the District of Columbia from 1965 until his death in 1999. His caseload provides insight into the criminal rights revolution and such controversies, such as Goldwater v. Carter (on the termination of the American mutual defense treaty with Taiwan), the early stages of the Bank of Credit and Commerce International Ltd. (BCCI) money laundering scandal, and Steffan v. Cheney (on the dismissal of a sailor after he acknowledged he was gay). Gasch is also the subject of extensive interviews, conducted by Stuart Newberger, in the oral history collection of the Historical Society of the District of Columbia Circuit. More information on the Gasch Papers, here. The dispute was an intramural affair in the National Lawyers Guild in early 1938 and a factor in the eventual exodus of prominent liberals, such as Thurman Arnold, Morris Ernst (no relation), and Jerome Frank. On one level, the conflict was the proper range of concerns of a professional organization of lawyers--in particular, whether it extended to foreign affairs. (Abe Fortas, for one, would later claim that he resigned from the Guild after it started concerning itself “with matters not seemly for a legal society.”) On another level, it was an indication of the liberals’ discomfort over the growing influence of radicals within the Guild--although they were principally concerned about Communists and not a Socialist like Cohen. The affair is well chronicled in Percival Roberts Bailey’s dissertation, “Progressive Lawyers: A History of the National Lawyers Guild, 1936-1958" (Rutgers, 1979), the best work I know of on the Guild, albeit completed before Cohen's papers were opened to researchers. As Bailey explains, in 1937 two different factions within the Guild put forth legal arguments in favor of lifting the embargo against the belligerents in the Spanish Civil War. 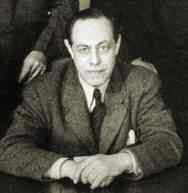 As chairman of the Guild’s National Committee on International Law, Felix Cohen produced a report arguing that the embargo against the Spanish Republic was invalid under existing treaties. The report called for amendments to the Neutrality Act “so as not to impose an embargo against a democratically elected government that is threatened by civil insurrection and foreign intervention.” Cohen obtained the approval the Guild’s National Executive Committee to have the report appear in the Guild's Quarterly, with the preface that it represented the views of his committee and not the entire Guild. He then issued a press release publicly criticizing the administration’s position, at a time when many prominent New Deal lawyers were among the Guild’s members. The press release provoked Jerome Frank to urge the National Executive Committee not to commit the Guild’s members to controversial issues of foreign policy. Morris Ernst prepared a rebuttal for publication in the Quarterly and obtained the supporting signatures of many prominent liberals for its proposition that Cohen’s report dressed up “partisan considerations” in legal language to make it a fit subject for a professional association of lawyers. Cohen took offense and wrote Ernst and the signers of his rebuttal. For purposes of casuistry the invocation of some alleged principles of [international law] may be expedient. And if in a spirit of deliberate partisanship you were thus to evoke such alleged principles, on the basis that a desirable end justifies the use of any means, and that the only test of the propriety of such “reasoning” is one’s getting away with it, then I could understand you. But I do not understand your high moral indignation when someone, blowing away the gossamer of legalism, scrutinizes and criticizes the non-legal postulate which bottoms your discussion. The real test of the views you express in your letter to Morris Ernst is this: Would you be in favor of applying the same alleged principles of international law regardless of the consequences to the people of the United States? Frankly (the world being what it is today) I must say that I would not. Frank held his ground. “My fundamental point is not that there is what you call ‘haziness’ in international law,” he wrote. My basic point is that the so-called principles of international law are applied, or not applied, in particular instances, in accordance with what a particular country considers, at the particular moment, to be for the welfare of its citizens. Consequently, any given so-called principle of international law is often applied by any given country to one set of facts in one part of the world and not applied to what might seem to be a similar set of facts in another part of he world. Not to recognize that such is the manner in which so-called international law is always applied is to ignore the facts of life. Would Cohen apply principles of international law “even though the result in some particular instance would be gravely injurious to the people of the United States?” If so, he and Frank certainly disagreed, for Frank believed that “the welfare of the country” trumped “such ethical absolutes.” And if Cohen agreed that the welfare of the nation was paramount but thought lifting the embargo would not endanger it, the two disagreed on a question of fact--a disagreement, Frank argued, that suggested the inappropriateness of the issue for a lawyers’ association. He closed with a dagger: Cohen’s statement on the Spanish embargo wove together “legal citations and ethical attitudes” much like the reports of the despised American Bar Association. Much about the exchange, which continued beyond these letters, puzzles me. What were the sources, ethnic or otherwise, of Frank’s isolationism, which he expressed at greater length in Save America First (1938) and a related address? Are Cohen's and Frank's positions consistent with their more general jurisprudential differences, to which Tsuk Mitchell refers? Does the exchange tell us anything about the end of legal realism, in its most skeptical form? Legal realists’ encounters with internationalism have found a place on the research agenda of legal historians recently with the publication of Elizabeth Borgwardt’s A New Deal for the World? and the pre-print posting of Harry Scheiber’s essay on Joseph Bingham in Law and History Review. A paper on the Cohen-Frank exchange would be a useful addition. Perhaps some legal-historian-in-training might take it on as a seminar paper? Despite America’s commitment to civil rights from the earliest days of nationhood, examples of injustices against minorities stain many pages of U.S. history. The battle for racial, ethnic, and gender fairness remains unfinished. This comprehensive book traces the history of legal efforts to achieve civil rights for all Americans, beginning with the years leading up to the Revolution and continuing to our own times. The historical adventure Alexander Tsesis recounts is filled with fascinating events, with real change and disappointing compromise, and with courageous individuals and organizations committed to ending injustice. 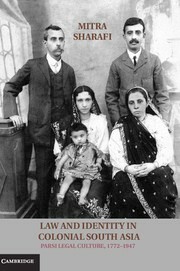 "Tsesis has written an astonishingly clear and compelling history of what most people would define as ''civil rights'' over the past two centuries. It is consistently illuminating." Sanford Levinson, University of Texas School of Law. "Anyone interested in obtaining a broad overview of Americans' contested history of popular, legislative, and judicial efforts to achieve-and to obstruct-racial and gender equality will benefit from reading We Shall Overcome." Mark Tushnet, Harvard Law School. Most scholars and courts assume that the Eleventh Amendment emerged from a sudden 'shocked' public reaction to the Supreme Court's decision in Chisholm v. Georgia. The Supreme Court's decision in Hans v. Louisiana has been subject to particular criticism for extending the doctrine of sovereign immunity beyond the text of the amendment and the particular subject matter before the Court in Chisholm. This article contends that the modern emphasis on Chisholm v. Georgia as the generative source of the Eleventh Amendment is historically incorrect. Public debate regarding the key issues behind the Eleventh Amendment had been underway long before the Court handed down its decision in Chisholm and the actual opinions had little impact on public discussion due to their being generally unavailable until months after the decision was handed down. The critical issue involved the concept of compelling a state to defend itself in federal court at the behest of an individual. That debate preceded Chisholm and would not reach critical mass until the state of Massachusetts responded to its own suit in Vassal. All sides in this debate accepted the idea that the national government could invoke sovereign immunity against similar suits. Denying states the same immunity called into question whether they remained sovereign entities and retained the non-delegated sovereign rights and powers that Federalists had promised in the state ratifying conventions. More was at stake than mere betrayal, or even fiscal liability. Whether the states remained sovereign entities under the Constitution affected the basic rules of constitutional construction for, according to the Law of Nations, delegations of power from a sovereign are to be strictly construed. Allowing suits against states thus implicated the principle of limited federal power across all areas of delegated authority. The key to understanding the Eleventh Amendment is the text's focus on the proper judicial construction of delegated power in Article III - a demand that federal courts respect the retained rights of the people in the states and apply the background rule of strict construction. In 1911, Wisconsin became one of the first U.S. states to adopt an effectively administered income tax. Wisconsin reformers were able to overcome several institutional barriers to create the administrative capacity necessary to assess and collect a graduated income tax that in time raised significant revenue, but did not supplant the property tax. With this limited success, the Wisconsin income tax soon became a model for other states and even the national government. In this sense, Wisconsin was a leader in forging fiscal reform. Political activists, lawmakers, and other government actors in the Badger State led a turn-of-the-century property tax revolt when they sought to replace the aging, locally administered general property tax with a graduated income tax managed by a centralized, administrative bureaucracy. This essay investigates how and why Wisconsin tax reformers [such as Nils P. Haugen, pictured at right] were able to help build the administrative capacity to levy new forms of taxation but were unable to replace the property tax completely with a progressive tax on income. By confronting the entrenched power of political parties, state constitutional constraints, and cultural resistance to centralized authority, activists and lawmakers established an institutional beachhead for the subsequent development of a new fiscal order. The administrative reforms enacted as part of the 1911 income tax law dramatically changed the way Wisconsin managed the assessment and collection of taxes. The building of administrative capacity was thus a critical step in addressing the fiscal challenges of the time, in forging a new sense of fiscal citizenship, and in laying the foundation for the subsequent growth of the public sector. The Story of the Steel Seizure Case is a chapter in Presidential Power Stories (Christopher H. Schroeder & Curtis A. Bradley, eds. 2008), written by Patricia Bellia of the Notre Dame Law School. Photo credit. Youngstown Sheet & Tube & Co. v. Sawyer, in which the Supreme Court invalidated President Truman's seizure of the nation's steel industry, has tremendous rhetorical and symbolic significance in justifying judicial policing of executive action in a range of contexts. Yet as a matter of doctrine, it is difficult to see why the case occupies this position. The decision leaves open a major question about executive power - whether the President can ever claim a nontextual constitutional power to act in an emergency absent, or even contrary to, congressional action. Even the most enduring opinion of the case, Justice Jackson's concurrence, can support both narrow and broad judicial constructions of presidential power. The story of the Steel Seizure case provides important context for modern readers who might perceive a chasm between what the decision stands for and what it says. In resolving the Steel Seizure case, the district court and the Supreme Court could have avoided deciding the underlying constitutional question at several turns. That fact is significant. After the executive branch's own actions provoked the district court to forcefully reject the government's claims, the government moderated its claims, thus inviting the Supreme Court to uphold the seizure on narrow factual grounds. The significance of the Steel Seizure case lies in part in the fact that the Court chose to forgo this path. In celebrating the Steel Seizure case's implications for the judiciary, however, we should not overlook its messages to the political branches, particularly the messages of Justice Jackson's concurrence. The concurrence is famous for the framework it supplies for courts to evaluate presidential power claims - a framework that turns out to be less robust in theory and more malleable in practice than those who celebrate it might prefer. The concurrence's most pointed messages about how to preserve the balance of power between Congress and the President, however, are directed to the political branches. The story of the Steel Seizure case holds lessons not only for those who decide separation of powers questions, but also for those who generate them. In Thurgood Marshall's office after his death, draped over an armchair in the morning sun, was a cloak made of monkey skin. The cloak was from Kenya, and was among the Justice's most treasured possessions. For years, Marshall told his friends and his law clerks stories about Kenya. The cloak was a gift, he told them, from the time he was made an honorary tribal chief. But even those closest to Marshall knew little about the Kenya adventures he so keenly remembered. This short essay illuminates Marshall's work on a Bill of Rights for Kenya in the early 1960s as an exercise in constitutional borrowing. When Marshall went to Kenya he looked over just about every constitution in the world just to see what was good, and he told an interviewer that the United States Constitution was the best I've ever seen. But at a conference in London on the Kenya constitution, he offered a draft bill of rights for Kenya that had no American constitutional language in it. The rights Marshall embraced as ideal, at least for an emerging African country, drew most extensively from the Universal Declaration of Human Rights, and parts were based on the constitutions of two newly independent countries, Nigeria and Malaya. Marshall's American sensibility appeared in his document most clearly in his assumption that independent courts would enforce the bill of rights, and his emphasis on equality, something he still hoped to realize in his own country. The essay is published in Green Bag. The full story of Marshall's work in Kenya is told in Exporting American Dreams: Thurgood Marshall's African Journey (Oxford University Press, 2008). In their book The Brethren: Inside the Supreme Court, Bob Woodward and Scott Armstrong tell a small but striking story of the racial insensitivity of Justice Harry A. Blackmun. It happened during the drafting and circulation of opinions in Flood v. Kuhn, the 1972 baseball antitrust case. As the story goes, when Blackmun circulated the first draft of his opinion in Flood, with its famously romantic introductory salute to the good old days of baseball and list of celebrated...names from the history of the game, the list of names was as segregated as the Topeka public schools in 1954. Blackmun had excluded African Americans from his list of baseball celebrities. It was only when pressed to do so by Justice Thurgood Marshall that he added black players to the list - Satchel Paige [pictured above], Jackie Robinson, and Roy Campanella. It has been said that this story from The Brethren makes no sense, but that is not enough to make it false. The Brethren accurately reports some pretty nonsensical behavior by people who worked at the Supreme Court during the period covered by the book (1969 to 1976). Moreover, the authors of The Brethren claim there is documentary proof of their story of Blackmun-versus-Marshall in Flood. Nevertheless, the story is false. The document from which the authors quote - Blackmun's allegedly racially exclusive circulated first draft in Flood - does not exist and never did. Paige, Robinson, and Campanella were present in the first circulated draft and thereafter. And thus Marshall's objection to the offending draft never occurred either. There was nothing to object to. 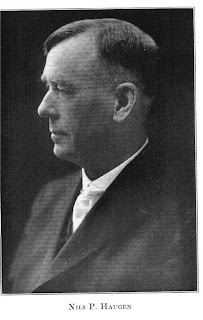 James Brooks Dill (1854-1910) was born in Spencerport, New York, moved at the age of four to Chicago with his father (a Congregational minister) and his mother. After his father died in battle during the Civil War, the family moved to his mother’s hometown, New Haven. He was well-educated (studies at Oberlin and Yale), apprenticed in the law under a well-regarded Philadelphia lawyer while teaching school, became an instructor in Latin and mathematics, and graduated second in his class from New York University’s night law school in 1878. At first he supplemented his legal income by working as a journalist for two New York City papers. Then a widely noted triumph, in which he saved his client, the director of a bankrupt company, from a potentially ruinous judgment, brought other corporate officials to his door. His first publication was a pamphlet, The Advantages of Business Corporations. Photo credit. The man essaying to be a successful corporation lawyer, whose ability was limited to telling people what they could not do, he said, would find himself a failure; the successful corporation lawyer must not be a negative man, but a positive and affirmative man, not only showing the way to accomplish a business purpose, but often leading the way. 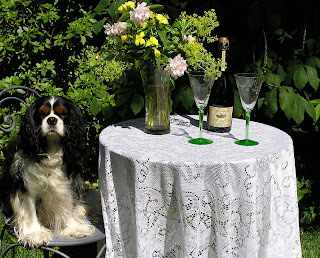 I will be away for a few days on account of a family celebration. In the meantime, the Legal History Blog remains in the capable hands of guest blogger extraordinaire Dan Ernst. This is the third of three installments on an exchange of correspondence between Jerome Frank and a USDA official that illustrates some of the challenges faced by those wanted to hire lawyers on the basis of academic merit during America's New Deal. Previous posts introduced the exchange and provided the USDA official's side of the story. Here is Frank's reply. I will certainly be glad, as you request, to call your attention to the need for additional attorneys for minor positions. As to the distribution of appointments I shall send you shortly a revised list of the geographical distribution of the lawyers in this office. I recollect that the last time I looked at such a list it was in such shape that it would have been found satisfactory to you. As to Harvard I wonder whether you are aware of the fact that I am myself a graduate of the University of Chicago and of the University of Chicago Law School. Not only am I not a graduate of Harvard but I have written quite a little in criticism of its educational methods. I hand you herewith a copy of my article on that subject. Therefore, I have no particular bias in favor of that school. I repeat that, for the most part, we need lawyers who are effective in so-called "office work." We have to contend with the ablest lawyers on the outside who are doing such work. Where, under pressure, I have taken on lawyers without the aptitude or equipment for that kind of activity, I have found almost invariably that the men are misfits and do not do their work very well. How are lawyers like politicians? Lawyers have to appeal to juries the way pols have to appeal to voters. And often they follow a similar approach. Ask a good lawyer how they win over a jury and they'll say you have to create a narrative the jurors can easily follow. That's just what pols have to do too. I can remember when I was an investigative reporter in Salt Lake City the lead prosecutor in a complicated bribery case told me her greatest challenge was making the convoluted connections between the defendants understandable. It wasn't easy. I doubt whether many jurors at the end of the case had a clear grasp of the case she was making. It involved a security company hired by a utility that contracted with an independent coal operator. So right off the bat jurors had to keep straight who the players were, how these companies interacted, and who was bribing whom to get what. I had reported on the case for a couple of years at my TV station. Some anchors and producers never figured out the relationships even though I did story after story. I am sure many viewers were confused as well. Like I said politicians face the same challenge as that prosecutor. But with one difference that's paramount. You can't squeeze all of America's voters into a jury box to hear your opening and closing statements and to watch a parade of witnesses. So when you create a narrative it's got to be more than simple and easy to understand. It's got to be so compelling that even people who catch just a smattering of your opening get what you are saying and sympathize with your point of view. So how do you do that? Pols do it by playing off of American myths. Myths aren't lies, though often they include false assumptions and misinformation. Myths are actually pictures of the world in which we live and our place in it. They tell us who we are and what values we cherish. In a contest between the truth and the myth the myth always wins because facts are next to nothing compared with a myth, which lies deeply buried in our unconscious. Here's where my book comes in. Because voters are beholden to myths they are susceptible to manipulation. 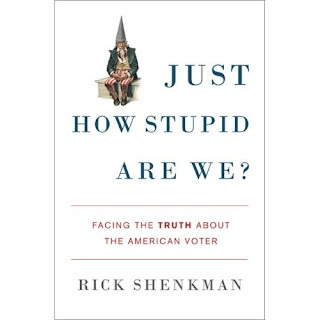 The more ignorant voters are about the facts the more easily they can be misled. Ignorant voters are therefore sitting ducks for wily pols who play on myths. This is what happened during the past few years. The Bush administration used myths to appeal to voters. The facts didn't matter until the failures became so overwhelmingly inescapable that finally people had to face them. What myths did the administration employ? They used the Hitler myth. Hitler of course was real. But the comparison of Saddam and Hitler was not real. But once people came to see Saddam as Hitler all kinds of synapses went off in their heads that made them susceptible to the administration's fear-mongering. By tying Saddam with 9-11 the administration was able to make a convincing case for war. The consequence was that voters paid little heed to facts. One study by the University of Maryland found that nearly 60 percent of Americans were convinced that Saddam Hussein was helping Al Qaeda when we undertook our invasion. A majority based their support for the war on this flagrant misunderstanding. Fifty percent of Americans continued to believe Saddam was behind 9-11 even after the 9-11 Commission set the record straight. Lawyers sometimes have bad juries who don't pay attention to facts even after they have taken pains to lay them all out one after another. Imagine how much greater the challenge is to get voters to follow the facts then! Were politicians angels we wouldn't have to worry. But they're not. So we need smart voters. Alas, they don't make up a majority.